James Brown, Tower of Power, The brothers johnson, The Emotions, Earth, wind & Fire and more. SoulSistas And SoulBruthas! 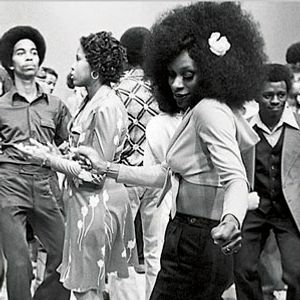 Hope all is get down groovy in your world! One of my homies at work is throwing an ol&apos;skool barbecue, or as we like to call it in the hood, a "Q." Naturally, he hit up his number one SoulBrutha and asked if I could put together some music that he could blast in the back yard to get everyone feelin&apos; nice. I immediately thought of a batch of classic joints that should do the trick. Hopefully this will have those in attendance gettin&apos; their groove on while downing some tasty adult beverages, grubbing it up, playing horseshoes and enjoying the summer weather. Feel free to blast it in your back yard, garden, on a fire escape or chillin&apos; on the front stoop! Be good and I&apos;ll catch you on the FLIP! Update: #91 on Mixcloud&apos;s "Best Of 2011." Big thanks if you listened, fav&apos;d or voted. A little Summer BBQ Mix in the top 100. So Cool!